Adam is a genius, that’s all I’ve got to say. 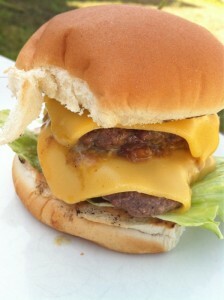 Last month a Serious Eats contributor cracked the recipe for In-N-Out’s Double Double Animal Style burger. Adam wanted to have a few friends over to try it out, so that’s what we did yesterday. An In-N-Out cookout. And it was pretty darn excellent. This was actually the experimental prototype he made on Saturday while I was at BlogHer, but I didn’t get any pictures of yesterday’s finished burgers. In fact, I barely saw them. All I saw were grabbing hands and devouring mouths. They disappeared so fast that I’m amazed we didn’t all fall into food comas shortly after. The recipe (which I’m not going to post here, just follow the link above) is super complicated and involves grinding your own meat for patties. The patties need to be 40% fat, which you just can’t get already ground. 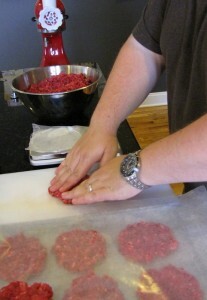 Adam lovingly prepared the proper size patties, chilled them as directed…it was a beautiful thing. 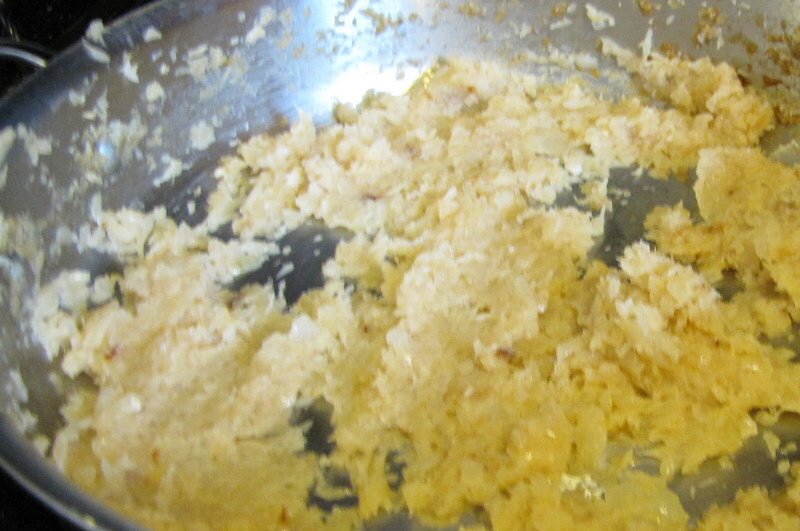 That’s an hour and a half of slow cooking 3 giant Vidalia onions to get a small bowl of jam. 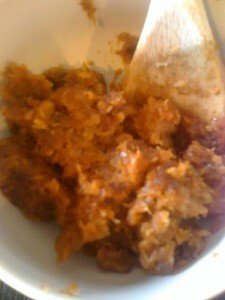 But it was heavenly, and I used butter instead of the oil the recipe suggests. 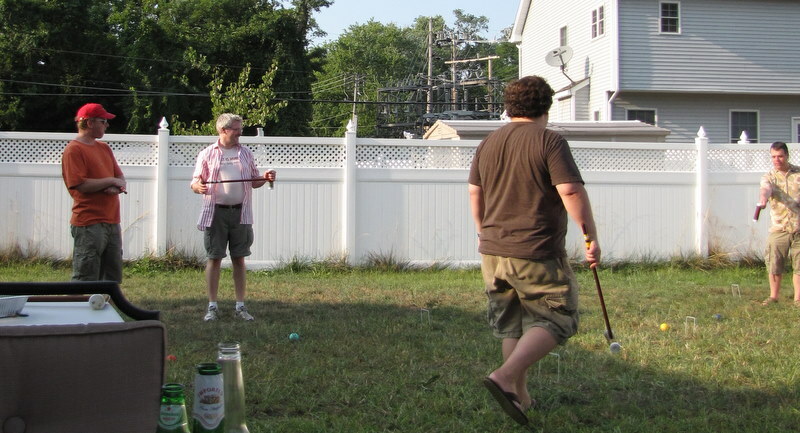 The boys (including Ken) played some croquet with our never-before-used set. 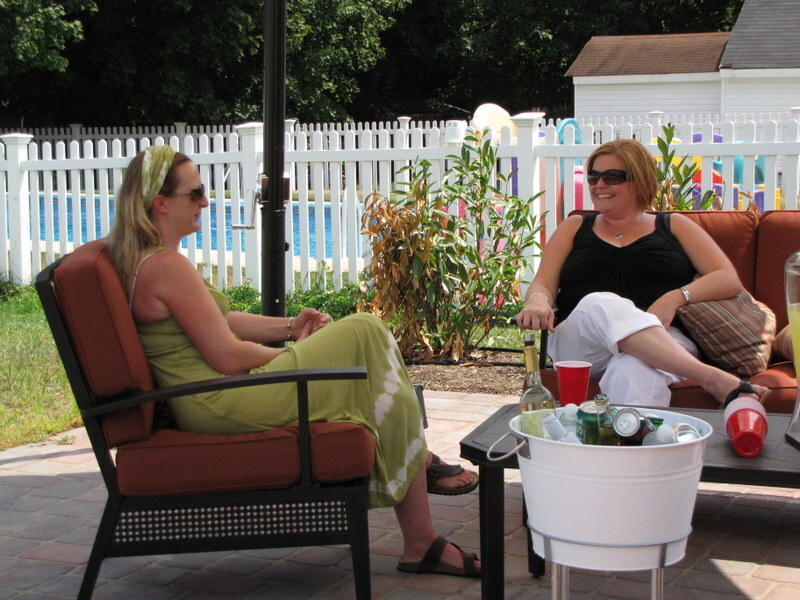 As exhausted as I was from the BlogHer conference, I had such a great day yesterday with some of our favorite people. 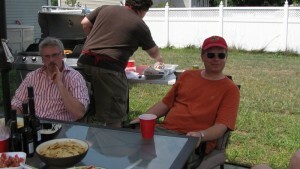 I love a good cookout, and as far as I’m concerned this experiment cemented Adam’s title as The Grill King.